Igor Butman and the Moscow Jazz Orchestra take the stage at the Vilar Performing Arts Center on Tuesday, Oc. 18. What: Igor Butman and the Moscow Jazz Orchestra. When: 7:30 p.m. Tuesday, Oc. 18. More information: Single tickets are on sale now at the VPAC Box Office, by calling 970-845-8497 or at www.vilarpac.org. BEAVER CREEK — World-famous saxophone player and producer Igor Butman will perform at the Vilar Performing Arts Center with the Moscow Jazz Orchestra on Tuesday at 7:30 p.m. as part of the venue’s 2016 Underground Sound series. 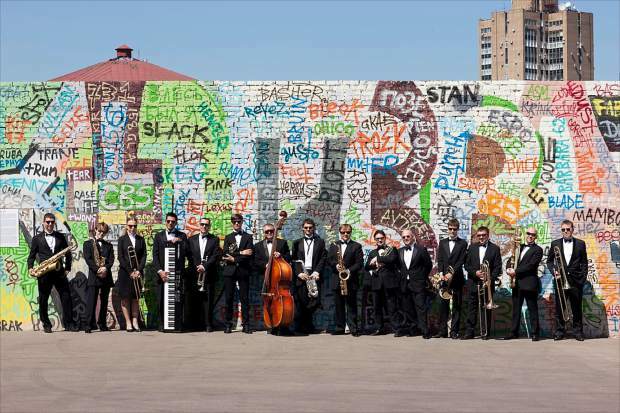 Butman and the Moscow Jazz Orchestra have been a staple of the modern jazz scene for decades — having released more than 10 albums and collaborated with jazzmen from around the world. Single tickets to this performance are $24. Patrons also have the option to purchase an Underground Sound Pass for $100. The pass reserves the patron a seat and a drink at each of the Underground Sound performances. After immigrating to the United States in 1987, Butman began working with a number of jazz bands, including the Lionel Hampton Orchestra and the Michael Moriarty Quintet. Butman performed at almost every major jazz festival in North America during the 1990s before moving back to Russia to become a jazz bridge between Moscow and New York. Butman and his Moscow Jazz Orchestra continue to spread the art of jazz music across the world and defy national barriers. He’s performed at every Olympic Games since the 2004 Summer Games in Athens. For his service to the world’s music, Butman has received multiple honors and awards, including being given the rank of People’s Artist of the Russian Federation for outstanding services to Russian music by decree of former Russian President Dmitry Medvedev.